Editor: As the GOP primaries pull into an open season, Newt Gingrich is still waging his one-man campaign either to derail Mitt Romney or to garner the real “conservative” votes. And he still touts himself as the “savior of immigration reform”. Here to refute that image is an article by San Diego immigration lawyer Carlos Batara written just before Christmas, but obviously still relevant. Batara also takes a swipe at President Obama’s policies as well. Bah! Humbug! Having practiced deportation defense in the 1990s, I am no Johnny-come-lately to immigration issues. I remember the xenophobic backlash led by Gingrich against the 1986 Immigration Reform and Control Act (IRCA) signed into law by a staunch conservative, Ronald Reagan. 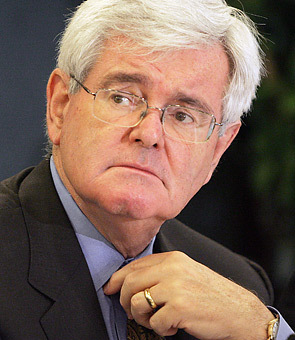 I remember Gingrich as the Gin-Grinch who stole immigration reform. Immigration Remorse Or Political Opportunism? Like his political opponents, I was stunned by Gingrich’s comments. Given his past efforts to destroy avenues of legalization, does he really expect any immigration advocates to believe him? In the view of some immigration activists, Gingrich’s statements herald a new beginning for immigration reform. I don’t share that sentiment. Over the past 15 years, as a San Bernardino immigration lawyer, I have witnessed the effects of Gingrich’s 1996 immigration reforms. It hasn’t been pretty. As the Speaker of the House of Representatives from 1995 to 1999, Gingrich was a leading architect of the Illegal Immigration Reform and Immigrant Responsibility Act (IIRAIRA). Many aspects of the current immigration debate can be traced to IIRAIRA. The legislation, part of Gingrich’s “Contract With America” agenda, was a repudiation of Reagan’s policies. During this period, Gingrich and his cronies did not merely change immigration law. 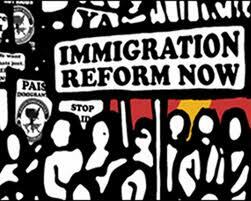 They transformed how the American public views immigration issues. They accentuated negative rhetoric, hostile imagery, and misleading arguments which now pervade the immigration reform debate. 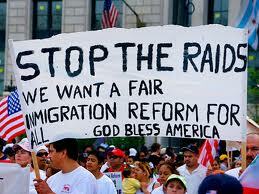 Worse, IIRAIRA closed many avenues of defense against deportation for those trapped in the immigration court system. Countless lives of immigrants and their family members have been destroyed. After IIRAIRA, an immigrant seeking asylum was required to file his or her application for asylum within one year of arrival in the United States. The effect of this rule prohibits many asylum-seekers, fleeing political, racial, religious, or gender persecution, from being able to seek our protection against such abuses. As part of IIRAIRA’s changes, expedited removal went into effect. This is a process where certain groups of immigrants can be deported from the United States without a hearing before an immigration judge and without any right to appeal or judicial review. IIRAIRA eliminated Suspension of Deportation. For undocumented immigrants, this was often their only defense against deportation. Prior to IIRAIRA, when undocumented immigrants living in the U.S. were apprehended, they could ask an immigration judge to suspend their deportation if they could meet certain requirements. Applicants had to prove 7 years of continuous physical presence, during which he or she maintained good moral character. In addition, they had to show, if deported, an “extreme“ hardship would be placed on himself or herself, or a U.S. citizen or lawful permanent resident spouse, parent, or child. In its place, Congress inserted Cancellation of Removal. Under Cancellation of Removal, applicants now have to show 10 years of continuous physical presence, during which he or she has been a person of good moral character. In addition to the longer time frame, the list of convictions (many classified as minor misdemeanors under state law) which preclude a finding of good moral character was increased. Moreover, a higher degree of hardship, “exceptional and extremely unusual”, was imposed on immigrants requesting Cancellation of Removal. At the same time, IRRAIRA mandated the personal hardship of an immigrant facing deportation could no longer be considered by an immigration judge. As if those changes weren’t restrictive enough, IRRAIRA set a limit on how many immigrants could be adjusted to lawful permanent resident status via winning their Cancellation of Removal cases. The cap was set at 4,000 per year. In practical terms, since our immigration court system has approximately 250 judges, each judge is allocated about 10.5 positive Cancellation of Removal grants per year. That’s less than one favorable grant of permanent residence per month per judge. Put another way, there are about 300,000 new cases entering the immigration court system per year. Assuming only one-sixth of these cases involve Cancellation of Removal, the 4,000 figure is tantamount to an 8% victory cap on total cases. In reality, IIRAIRA set in place a system where judges award less than 4,000 affirmative cancellation decisions per year. IIRAIRA also eliminated relief for lawful permanent residents under section 212(c) of the Immigration and Nationality Act. Akin to Suspension of Deportation, the loss of 212(c) left many lawful permanent residents without any protection against deportation at immigration court. Under 212(c), lawful permanent residents who had committed criminal offenses were given a second chance to remain in the U.S. To make such determinations, judges were allowed to weigh an immigrant’s negative equities – including the nature and seriousness of convictions – against his or her positive equities. Once 212(c) was eliminated, judges were stripped of their authority to exercise discretion if an immigrant’s conviction fell into certain categories. For many permanent residents, this means automatic deportation, even if the offense was only a misdemeanor under state law. In addition, the study noted 217,000 other immediate family members – U.S. citizen husbands, wives, brothers, and sisters – were affected by the deportation of LPRs between 1997-2007. I think his motive is more basic. It’s election season. He is taking a page from the Obama playbook. 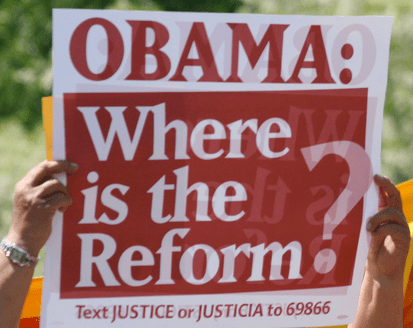 Sensing the desperation of immigration reformers to find someone to champion their cause, Gingrich, like Obama, is hoping lip-service commitment leads to an influx of supporters on election day. And as with Obama, it’s up to immigrant advocates to reject the false promises of the Grinch who stole immigration reform. Older Article: Did the San Diego Zoo “Euthanize” Two Elephants Prematurely?